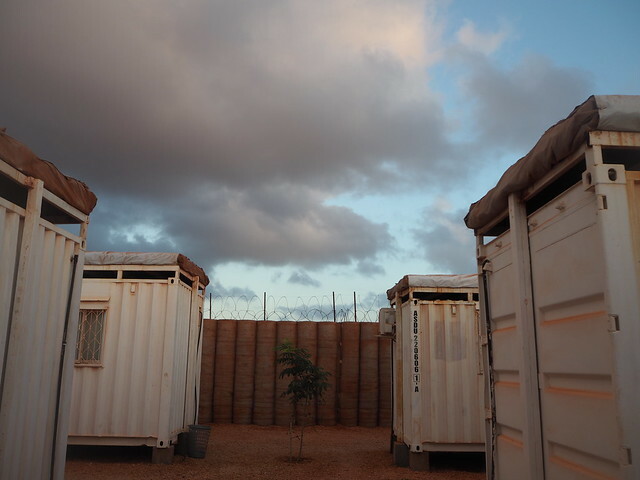 Still reading The Old Ways, but now I am elsewhere: in Kismayo, Jubbaland, in the South of Somalia, which once housed a Club Med and where I am now paying hundreds of dollars to sleep in a shipping container behind hescos and razorwire in the airport. It is frustrating to know that there is a whole town out there that I cannot see, Italian mansions and broad sand beaches and prawns the size of your fist. When flying in yesterday we banked over the sea, silver-skinned in the late afternoon light, a curl of an isthmus embracing a small collection of islands. But when you can’t look out, you look up. 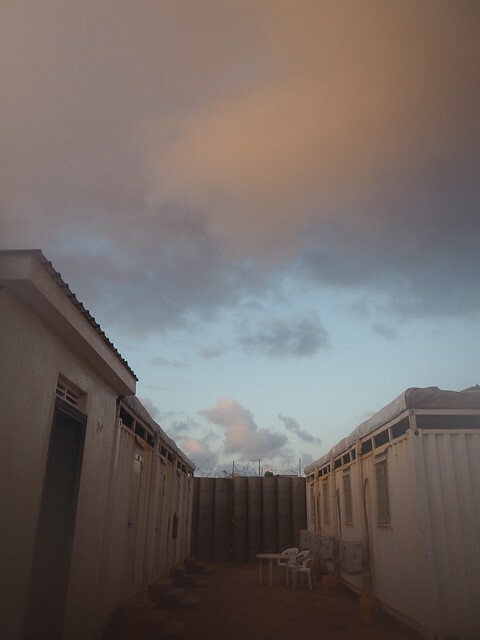 Somalia has some of the most dramatic skies I’ve ever seen – or perhaps it’s just that I notice them more here. 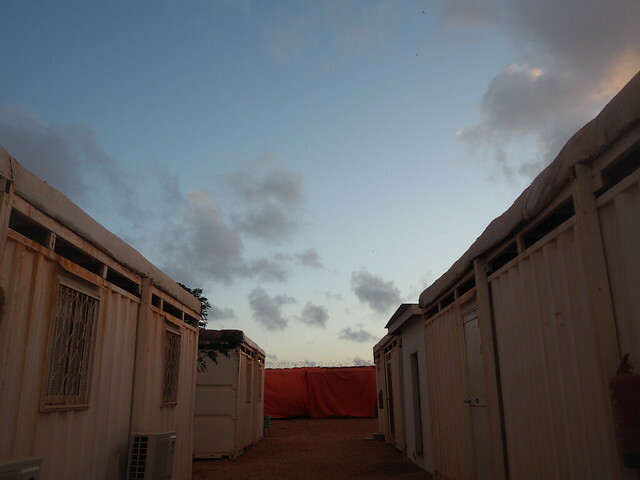 This morning I woke early and the whole sky was freighted with dawn light, clouds heavy-bellied with sea rain and the last stars paling to nothing; this evening I caught the top two-thirds of a perfect sunset laid out in stripes of red and orange and blue above the blast-proof walls. Reading Robert Macfarlane makes me long for distant landscapes, but it also makes me more aware of the small, beautiful things that surround me.